While hunting with your bow is a ton of fun, all good things have to come to an end. Eventually, hunting season ends and you’ll have to find something else to fill your time. 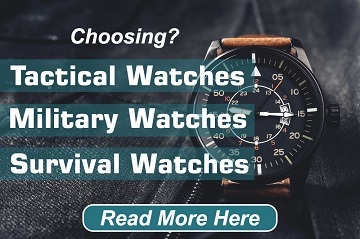 For most people, this means spending at least a little time worrying about how they’re going to keep their hunting and shooting skills sharp. Without your regular game, you won’t have as much of a reason to go out and shoot. So during the off-season, you’ll need to find some ways to keep your skills in the best shape possible. We’ve got some tips to help you keep your skills sharp. Hopefully, one or two of these tips will allow you to keep your skills in the best shape possible. If you have space, you can set up targets in your own backyard to keep your skills in check. This might be a nice set up anyways to help make sure that you’re able to test new setups during hunting season. The targets that you have at home can be anything you want as long as you’re going to be able to use your arrows and broadheads on it. When you set up targets yourself, you’ll have some say in what they look like and where they are positioned. This will allow you to really work on any areas that you are suffering with. If you’re having a tough time hitting from some angles, then you’ll be able to set up targets that you can practice different angles with. Even if the weather outside is lousy, there are several indoor ranges around for you to practice at. This ranges might have just standard targets, but they might also have screens and blunt broadheads that you can use to practice hitting specific game. They might even have a scoring system built into this kind of target shooting so that you can compete with yourself or friends that you have. These will cost you some money, but if you don’t have the time to build your own range or the weather just gets too bad to practice in your backyard, then this will be a great option. It also means that you won’t have to worry too much about targets cluttering up a garage or part of the yard. 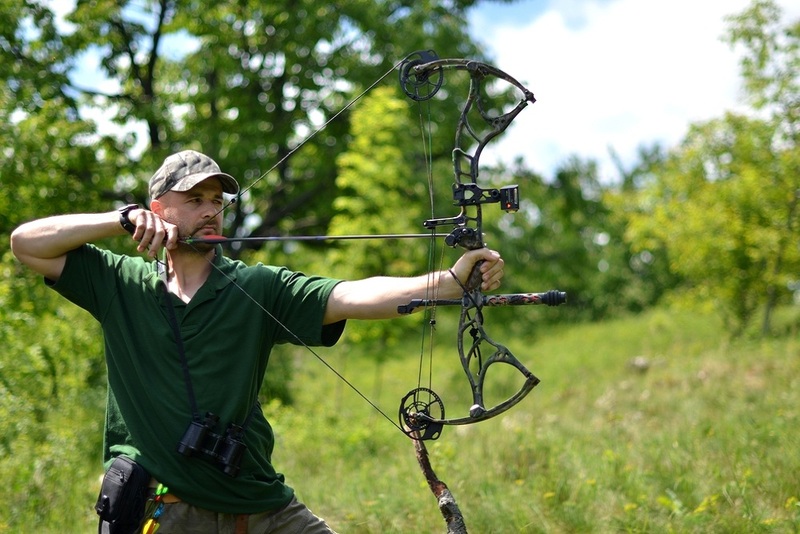 Staying sharp for bow hunting isn’t just about making sure that accuracy is on point. Your whole body needs to be in shape to really get the most out of your hunting. While practicing shooting will allow you to keep that muscle memory sharp, you may still want to find a number of different ways to train your body. Make sure that the muscles in your arms don’t atrophy during the off-season. You don’t want to go into the season and your arms don’t want to work in the right way anymore. This can be as simple as lifting some hand weights or doing pushups. Keeping active will also keep your body in shape and keep your health up. This means that your practice will be able to do more than just help your hunting game. When you don’t have a live game to hunt, the second best thing can be 3D targets. You can find these targets in some outdoor ranges and you’ll probably be able to hunt some down on the internet if you want to add them to your own backyard range. These targets will allow you to make sure that you are hitting just the right spot on whatever game you want to practice with. It also gives you the chance to practice hitting them in different angles. If you don’t have space or money to get targets into your backyard, then you will find that there are courses specifically centered around 3D targets. These ranges will keep parts of your brain associated with hunting sharp as well. You’ll have to think quickly and take some difficult shots when you’re out on a range like that. This kind of work can really be worth to keep your mind sharp. Having your muscles in working order won’t always help you decide how you should go for a kill or if the kill is even worth it. While it might be the off-season for your favorite game, there might be other game that you can go after. Most commonly you will be able to hunt predators that are considered pests. Raccoons, wild pigs, and coyotes are among the list of mammals that you might be able to hunt. If you want to hunt these game, then you’re going to have to make sure that it is allowed by your local laws. Whether or not you are allowed to hunt these pests really depends on the place that you live and their attitude towards the creatures. Make sure that you properly research the laws in your area before you go out and hunt them. However, if it is allowed in your area, then you will find that this makes a world of difference. While the type of game is different from what you normally hunt, it will keep your mind and body sharp for when the season for your game comes back around. If you combine hunting predators with practicing with 3D targets or the game that you typically hunt, then you’ll probably feel as sharp as when the season ended when you go back to hunting your regular game. This is a tip especially for those that use more traditional bows. Not everyone uses them, but if you do, then it’s going to take a lot of work to make sure that your body is still in tune with the weapon that you’re using. If it’s a relatively nice day, then you might be able to get out and do some stump shooting. You’ll be out in the woods and aim to just shoot tree stumps. It sounds silly and ridiculous, but it keeps you outside and practicing your skills. You will find that this practice really helps. You can go with friends and make a day out of it. This kind of hunting is more relaxed, so you’ll be able to think more about how you’re going about making your hits. Make sure to use arrows that you don’t mind beating up a little bit and make sure that the arrow isn’t going to bounce off into the underbrush. The goal of this exercise is to keep your game sharp, not spend days hunting for lost arrows in the underbrush. When I say make new friends, what I mean is create a league. 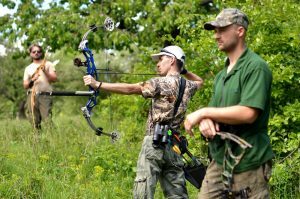 You can likely join one at an archery range, but if your range doesn’t have one, then you should be able to find some people that are interested. A league will allow you to practice shooting accurately in a competitive environment. The competitiveness of the game might keep you working hard on your accuracy. You’ll even be able to pick how tough your league is if you find an archery range that already has leagues set up. This means that if you don’t want to dedicate too much time and energy to it, then you can pick a league that isn’t going to be as competitive and just have fun. When it comes to hunting, being at the top of your game means that you’ll be able to hit your game quickly and easily. When the off-season hits, you’re going to find it tough to stay on top of your game. If you don’t practice at all, then the next season is going to have a rocky start. If you want to avoid that feeling, then I would suggest taking on one of the tips that we have for you here. They can really mean the difference between a rough season and a fantastic one.